Replacement safety net for 10ft. Hip 300 safety enclosure. 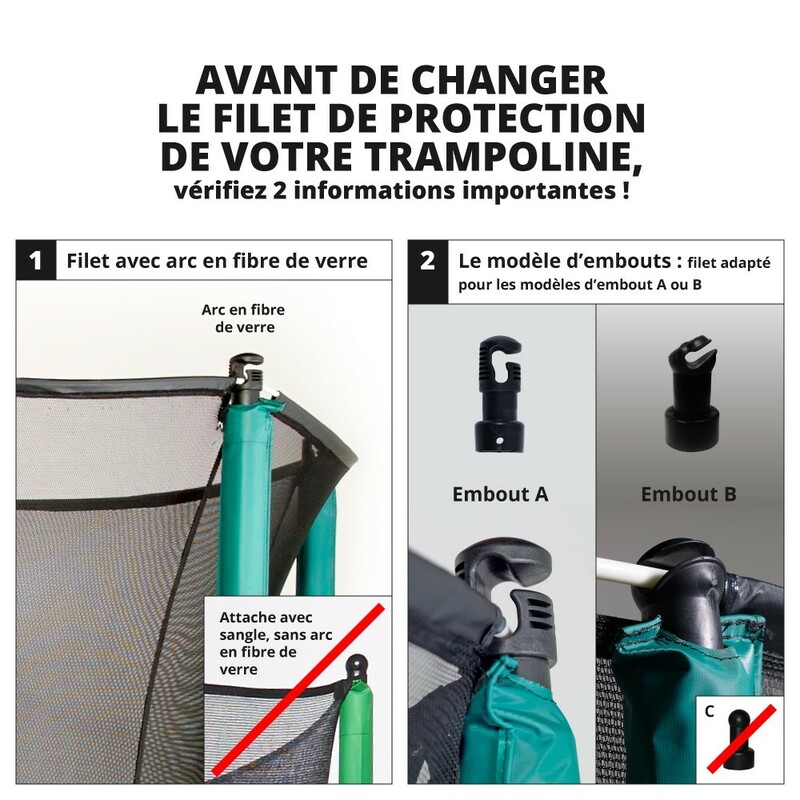 The safety enclosure ensures perfect safety if there is a moment of unbalance while on the trampoline. After years of use, the net of your safety enclosure can begin to tear. This is why France Trampoline offers spare parts. - Textile net is suitable for 10ft. Hip 300 trampoline and all round trampolines with a 3.05m diameter and 6 posts. - The textile net is designed with a 130g/m² polyethylene netting that has been treated against UV rays. The netting allows children to play without getting their fingers caught. The UV treatment will allow you to keep your trampoline outdoors all year round and minimise the climate effects. - Access to the trampoline is through a zip door that you can open from the inside and outside. France Trampoline have used different colours for the zip so it's easy to find. - Installing the safety net is quite easy: you need to secure the net posts to the trampoline frame by using the screws and braces at the two fixing points. Then insert the fiberglass rods into the sheaths found at the top of the net, and clip the rods onto the caps at the top of the net posts. The net must go behind the circular frames of the trampoline's framework and attach to the springs using hooks. 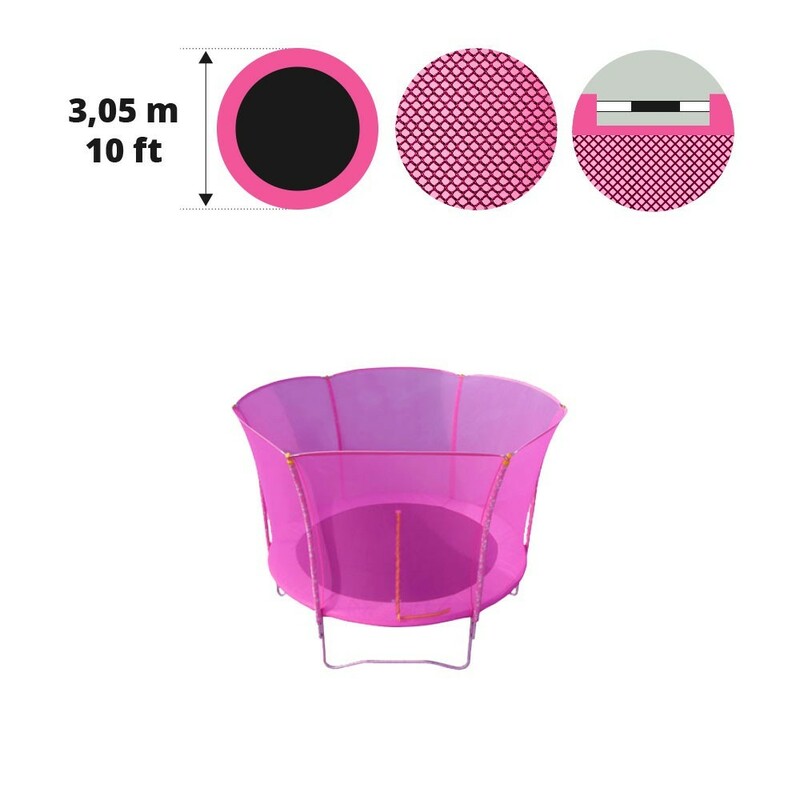 - Make sure you have a round trampoline with a 3.05m diameter and 6 posts in order for this spare part to be compatible with your trampoline.